HARNESS THE POWER OF THE SUN FOR YOUR CALIFORNIA HOME. Rising energy costs. Environmental impact. Social responsibility. All are factors that affect how you live your life. As one of the best solar companies in California, Roofmax gives you the opportunity to make a difference by incorporating environmentally sound practices into daily living through our solar energy alternatives. We are the leading San Francisco Bay Area solar contractor, offering roofing and hot water systems that are innovative, dependable and environmentally friendly, as well as economically attractive. Because of our experience in solar products, Roofmax is the solar company California homeowners can trust to make their solar roof or solar heating system pay off. 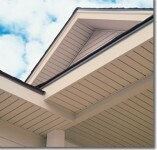 A weather tight roof that protects your home and family while also reducing energy use and monthly utility bills? That’s what a Roofmax solar roof will deliver for your Bay Area home. Beautiful to look at, yet highly efficient in providing enough electricity to power most of your home’s needs. More and more people are turning to Roofmax as the solar company California Bay Area homeowners choose to install their solar roofing system.Click here to learn more about Solar Roofs. Traditional hot water heaters powered by electricity or gas are inefficient and expensive to operate. A solar hot water system from Roofmax will produce gallons and gallons of hot water for your cooking, bathing and washing needs, without draining your budget for monthly utility bills. Our roof-mounted solar hot water heating systems are efficient and reliable, with years of proven durability and effectiveness. Click here to learn more about Solar Hot Water Systems. Roofmax has teamed up with EchoFirst, Inc. to provide Bay Area homeowners with a remarkable new solar roofing option. The Echo solar system can provide multiple services for your home, including daytime heating, nighttime cooling, hot water heating and fresh air ventilation.Click here to learn more about EchoFirst. Federal and State Solar Tax Incentives can mean a payback on your solar investment in as little as ten years. The following are links to articles and publications on solar photovoltaic electric power. These articles can be interesting to those interested in installing solar panels on their residential or commercial building. Roofmax does not necessarily support the views expressed in these articles. These are simply here for a reference for you as you research solar photovoltaic electric energy.